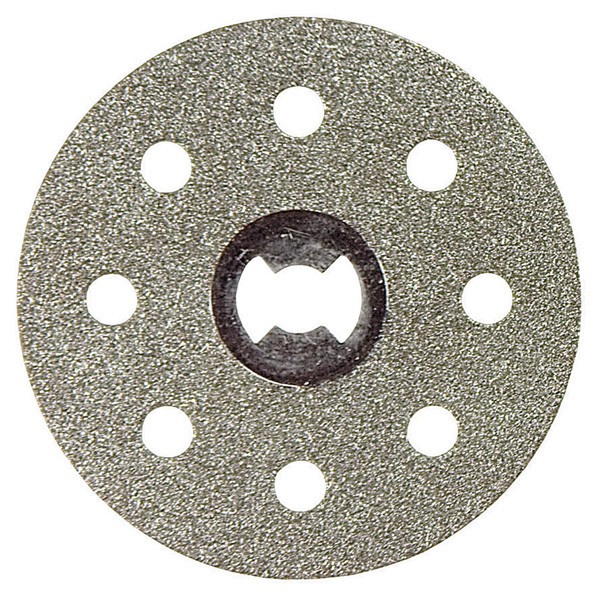 Disk with diamond grit cutting surfaces cuts tile, stone, and ceramics up to 1/2 inch thick. Use with our #85986 EZ Lock Mandrel (sold separately). Wheel is 1-1/2 inch diameter x .025 inch thick.